Washington, D.C.—We have a full-blown crisis! We are being told that government must suddenly regulate and register the well over two million drones used by hobbyists, photographers, filmmakers and other ordinary civilians. For over two years now we’ve heard the media tell us how these little pesky devices will bring down airliners, invade privacy and destroy our way of life. Pulling the puppet strings of the media has been the FAA and DOT. Chicago’s Mayor, Rahm Emanuel said it best back when he was Obama’s Chief of Staff, “Never let a good crisis go to waste!” This drone crisis is nothing more that a manufactured one. The FAA has showered the media with their “facts” in that they claim there are well over 700 cases of near misses with airliners and other conventional aircraft. Missing from these statistics are a single fatality, serious injury or even a report of notable property damage. Because drones have driven news stories like wildfire a child needing a Band-Aid on his nose from a drone propeller is automatically a national news story. I guess nobody in the media noticed that there is not a single incident where a multi-rotor camera drone every touched any conventional aircraft, ever. More importantly there is not a single identified suspect, prosecution, captured drone, video or even a photograph involving these near miss reports! Nearly everyone has a video camera in their pockets today but not a single image exists of drone misconduct? Now there is a sudden rush to regulate and register every little drone in America! We are being told that this is being done in the name of public safety. Is it about safety or just a case of government selling us on more government? As you read this you know the answer, we’ve been had! The reason for the sudden rush is simple. As each year drags on and there are no significant accidents to report or legitimate cases of privacy invasions discovered the need for regulation is non-existent. The taxpayers can’t then be fleeced over this manufactured impending doom. Imagine the number of FAA and DOT agents that will be needed to register and inspect every drone in America? Politicians will be putting their relatives, friends and supporters in well paying government drone chasing jobs! Then they will all take credit for the fact that there are no deaths, injuries or property damage as a result of their comprehensive drone enforcement activities! That’s how our government works! In the meantime the morons in suits running our shrinking news organizations that helped to create this Drone Hysteria must continue spending millions leasing helicopters and crews to get images. Using drones would only cost a tiny percentage of what they pay now. Conventional pilots run the FAA. They are all aware that drones will be eliminating a significant percentage of their jobs. They have an obvious conflict of interest here. It’s in their interest to slow the drone technology down as much as they can. FAA regulations were all written in blood. They are based on actual deadly aircraft accidents. When it came to our little drones the FAA departed from reactive regulation to one of prior restraint. That’s un-American! So is the FAA stranglehold on the commercial use of a drone. Will we wake up in time to keep the FAA in check? I doubt it. Have I Got a New TV Series For You! Los Angeles, CA—I was invited by an Austrian actor friend, Thomas Mikusz to a screening at the Goethe Institute here. He was moderating the Q&A of German film Director Edward Berger (of the film, JACK) and music director Reinhold Heil. Ive been watching this exciting series that now has me absolutely spellbound! The writing is top notch. It’s a Sundance-TV original series. Sounds American, right? No! 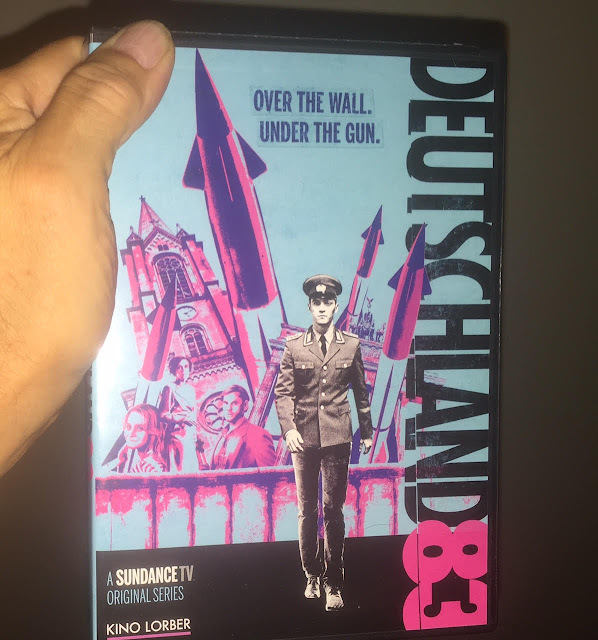 It’s Called, DEUTSCHLAND 83 a cold war thriller about the East German Stazi Intelligence and the very hot cold war before Communism as we knew it fell. Interestingly enough this was released here first. Germany will have to wait until next month to see this! In an age of reality TV garbage and sensational but mindless, over the top special effect films, this is a wonderful story and character driven series. Yes, terrific actors actually bring the written words to life off the pages of a marvelous script by Anna Winger. She and Jorg Winger created this masterpiece of entertainment. This was produced by the same people that brought the Emmy Winning Mini-Series called GENERATION WAR about a group of attractive young friends that agreed as World War Two began to meet in the same café at the war’s end. Those that met after the war had dramatically changed and challenged lives. I wrote about that series on this blog. As for DEUTSCHLAND 83 it’s a story of two sisters, one a loyal GDR Stazi official (Maria Schrader) and the other (Carina N. Wiese) a freedom-loving captive who is stuck in a place she’d rather not be. That sister has a life-threating kidney problems and a young son (Jonas Nay) serving in the military as a somewhat low level border guard. Family dynamics are pushed into an untenable and tyrannical situation where our young border guard is forced into being a Stazi spy because of his aunt’s extortionate demands. The plot takes viewers to the War Rooms of the GDR and NATO headquarters. During the period high-level military officials made strategic plans to attack and defend using nuclear weapons. Our young border guard finds himself forced way out of his comfort zone to capture or copy documents. 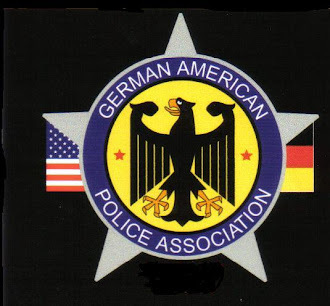 Getting caught by the West had far fewer consequences then failing the GDR and Stazi. Then there are the complicated ladies in our unlikely border guard-hero’s life. No, I wont spoil it for you! It’s filmed in various German locations including the actual former East German Stazi headquarters. It’s loaded with excellent costumes and props from the period. Yes, it is in German and is subtitled in English. By the way my friend Thomas sent me home with a set of DVD’s for the first season! Now that’s what friends are for! You can see this series on iTunes and other popular American film sharing services. NAU Shooting, Just Who is or Are the Victim/s Here? Flagstaff, AZ—Overnight on the campus grounds there was an altercation between several male students. The details of the altercation remain very elusive. We know four young men were shot, and one lad is being held right now by police for investigation. Right now, the dead lad and his pals are being spoken about through tears and a way too early eulogy. Can’t we simply wait for a fact or two before the Left Wing folks using this to promote their anti-gun political agendas? Just who was or were the bad guy/s here? What we know is right now is there was a winner of the altercation, 18 year-old Steven Jones and four losers. Colin Brough was killed. Additionally the other three that were wounded by gunfire included, Nicholas Prato, Kyle Zientek and Nicholas Piring. 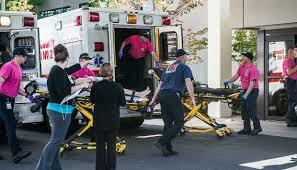 They are receiving medical treatment at the Flagstaff Medical Center. When police arrive to mop up these kinds of things they are very quick to arrest any winners and put the losers in the meat wagons. 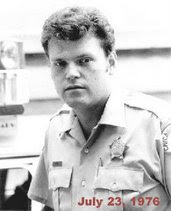 Cops rarely witness these altercations and must rely on their psychic abilities and wade through the wildly conflicting statements of survivors. Hopefully at some point thereafter they do a comprehensive and unbiased investigation. The media is treating this like recent campus shootings like some we’ve had where mentally disturbed armed miscreants randomly attack people for no particular reason. In this case reporters aren’t asking the right questions! Here we had students out at 1:20 AM. Were they drinking and more importantly were the four lads shot because they were attacking Steven Jones? 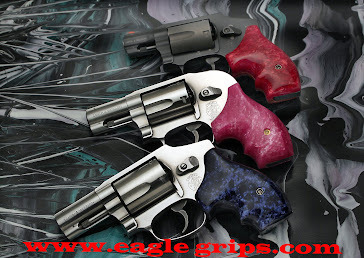 There is absolutely nothing wrong with using deadly force to fend off multiple attackers. That would be justifiable in all 50 states. If Jones violated the Gun Free Zone ban at NAU that does not change his right to use justified deadly force in any way. The police have not disclosed whether any self-defense claims were made by anyone. I don’t buy the story that the four shot by Jones are innocent bystanders for a second! Jones had and still has an absolute right to remain silent. Like most people under police investigation I doubt that Jones was savvy enough to exercise that right. I'd make an educated guess that he actually told police he was using self-defense to terminate the attack. I doubt any university or police officials want those two words (self-defense) used in connection with this incident. Instead they will pull out all the stops and make victims out of the dead lad and his three shot up pals. Soon a lawyer will answer up in court for Jones. Prosecutors may still beg off from filing charges unless there is sufficient evidence of a crime on the part of Steven Jones. He may never be charged with a crime. However some prosecutor may want to bankrupt Jones’ parents by forcing a criminal trial so a jury can decide who was right. Perhaps there may be enough evidence to charge the wounded fellows in connection with an assault on Junes. In any event my investigative services are available for Steven Jones if his defense is indeed self-Defense! The FAA Can’t Perpetuate Drone Hysteria Without Evidence of a Single Notable Accident! Town of Paradise Valley, AZ—Some of this small but wealthy community’s politicians bought into the baseless idea that multi-rotor camera drones were a threat to safety and privacy. Ignorance and the novelty of the drones themselves motivated politicians here to make an effort to ban drones. They thought that their residents would somehow appreciate their efforts. Things backfired when local relators complained that the use of drones showcased the homes and community like never before. Banning or over-regulating them could damage property values and of course property tax collections. The Town Council considered the ban but cooler heads in that body tabled the idea at least until they had more valid guidance and information. How they revisit this issue remains to be seen. 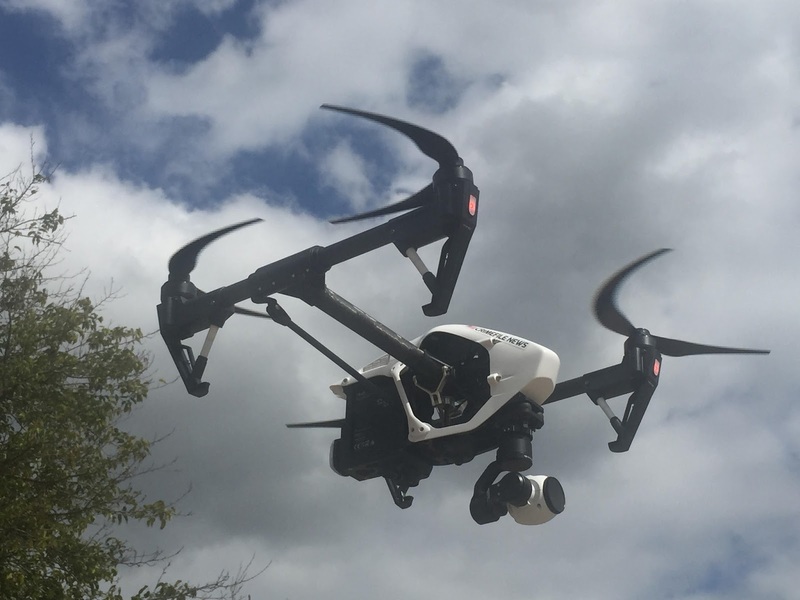 As for the somewhat popular Drone Invasion, there were no less than 700 reports of near misses with conventional aircraft investigated by the FAA. Not a single collision, photo, or video has surfaced in those reports. Were these bogus reports by people seeking attention? Were they reports by some pilots seeking to protect their jobs by slowing down the proliferation of drones that will take their jobs? I can’t guess what was real or fraudulent in the much-publicized world of drones and their detractors. What we do know is their are zero fatalities, serious injuries or significant property damage. Certainly there’s not a singe collision with other aircraft. There are well over two million of these marvelous machines in the hands of teens and adults that are gathering spectacular images for creative endeavors, journalism and marketing. The privacy invasion and safety fears have not been realized in any way, shape or form beyond unsubstantiated reports that have been given far too much ink. I fully expect as the bogus reports begin to die down the FAA will take credit for their educational efforts for the decline in those rogue sightings. The fact is there must come a point in time when the hysteria must die without some tangible evidence. It’s interesting to note that all FAA regulations for conventional aircraft were actually written in blood! Yes, actual deaths and serious crashes were behind each and every rule. When it came to the drones the FAA radically changed direction to enacting prior restraint guidelines and criminalized private enterprise. This was un-American and violates the civil rights of those wishing to operate their drones. Despite the threats of enforcement and state and local efforts to police our drones, what’s lacking is a legitimate demonstration of any misbehavior by drone operators. The few attempts at prosecution have fallen flat from a lack of evidence. The videos and telemetry data contained on the drones themselves have vindicated the operators. It’s time to move forward with this exciting new technology. Obama and His Media Lapdogs Trolling Against Our Hard Won Liberty and Freedom and Very Lives, Yet Again. Roseburg, OR—We now know that Christopher Harper-Mercer was a lone wolf, copycat, wannabe, Islamic terrorist that targeted Christians for murder. Harper-Mercer found his hapless and defenseless victims to execute here at Umpqua Community College. They were supposed to somehow be protected by a single unarmed and equally helpless security guard. With security like that, what could possibly go wrong? That was considered a wise decision made by overpaid, politically left leaning bureaucrats. They gambled with the lives of these students and lost. Unfortunately these bastards will escape punishment for facilitating and enabling the terrorism. Islam is in a constant state of war with infidels and the nations they are invading unimpeded while claiming refugee status. We must take every precaution to resist terrorist incidents and train to stop incidents like what happened here. While we are under attack by lone wolves and are under protected by our law enforcement agencies Barack Obama wants to disarm America’s law-abiding citizens. A fat-fetched conspiracy theory you might suggest? Obama never saw a gun ban he didn’t support and vote for in his political life. His claims that he wants only minimal changes are disingenuous and phony. Gun laws like all laws only impact the law abiding. More restrictive gun laws have been found to actually enable violence as every large American city run by Democrats lave learned. Americans are currently under siege by crime and a massive amount of Islamic and assorted illegal immigrants. Asking Americans to disarm is like telling us to stop using seat-belts and to throw away our smoke alarms and fire extinguishers. 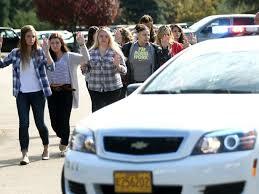 We need armed police or security at every school in America supplemented by trained and armed civilians. Without the right tools we are helpless and always ripe for mass murder. Obama knowingly lied to the American public about so-called Gun Violence statistics. They include thousands of justifiable shootings by police and intended crime victims. 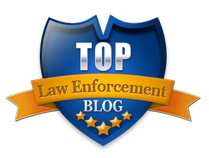 They include suicides and accidents including those in our military and police organizations. The crimes are solid evidence that Americans must be responsible for the protection of themselves and families. Obama's Lapdog media let him ramble on unchallenged for two days relentlessly parroting his lies and misinformation at every opportunity. We must at all cost resist those Leftist politicians that will enable and facilitate violent criminals and terrorists by infringing on our right to keep and carry arms. Our lives absolutely depend on our ability to defend ourselves!